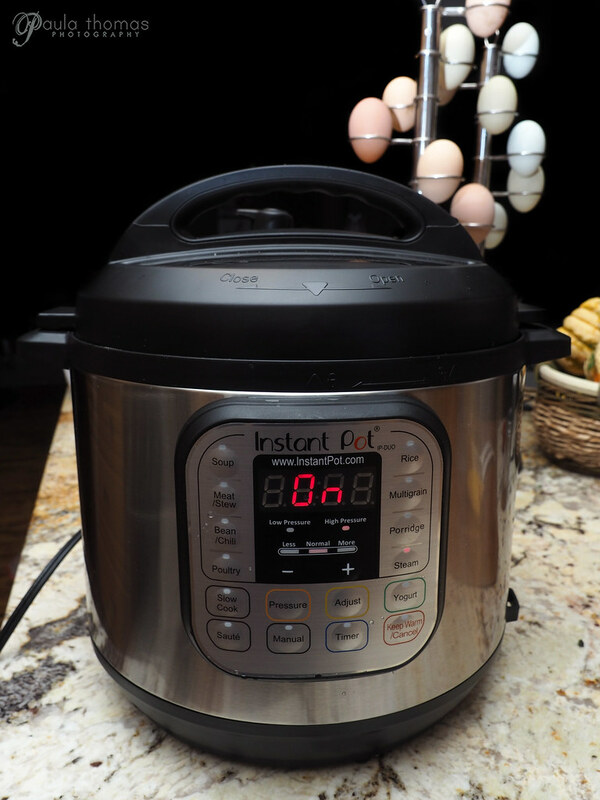 I thought I would share my experience with using the Instant Pot to make steamed eggs. 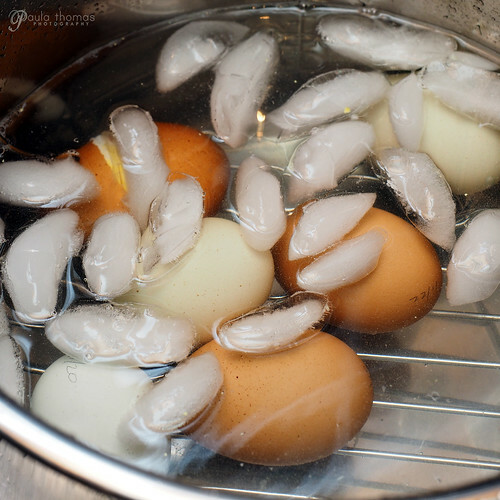 You may know fresh eggs are a pain in the arse to peel using traditional boiling methods so I always steam the eggs for easy peeling. I decided to use the steam setting on the Instant Pot to make a few boiled (steamed) eggs to see how it does. 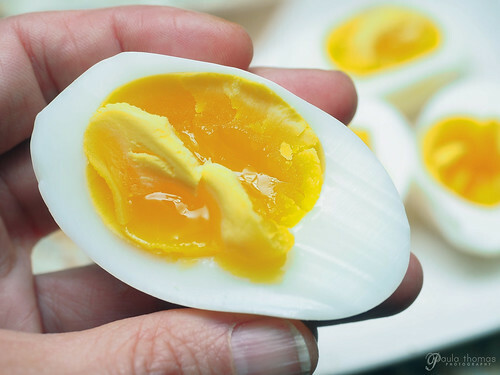 I didn't realize the recipe I was following was for soft boiled eggs until I got them out of the cooker. Next time I'll try adding 2 more minutes to the time and that should get a nice hard boiled egg. The 4 minute cooking time I used resulted in a nicely cooked white with a yolk that wasn't runny but more a medium consistency. Close cooker and be sure the valve on the lid is set to "Sealing"
I had one of my 6 eggs crack during cooking. 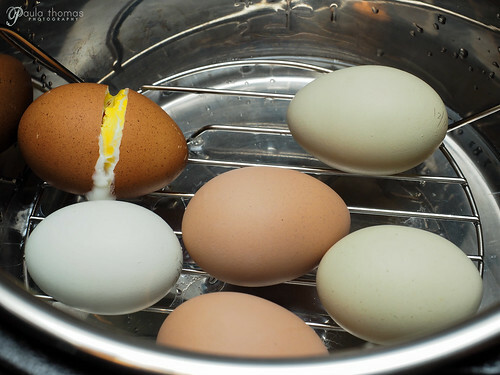 I've seen various recommendations to reduce the chance of eggs cracking which include using a steamer basket, placing eggs in cookie cutters or canning lids. 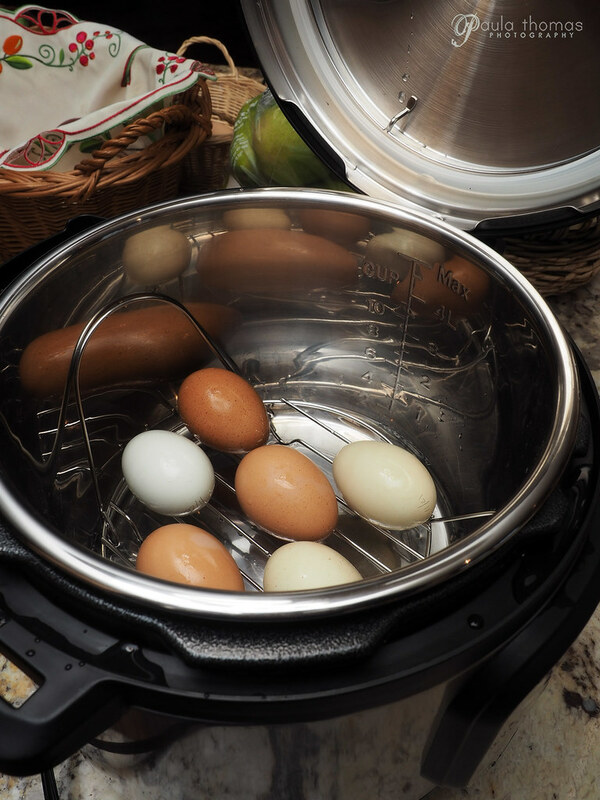 I love my Instant Pot and never would have thought to try eggs. I saw your picture on Flickr and followed it here. I'm saving this blog post so I can try it out now. Thanks for sharing. Thanks for your input. I steamed my eggs @ 7 minutes in the Instant Pot and they came out perfect to my liking. They were hard cooked, but still on the creamy side. If you want them bouncy hard cooked, I'd add another minute. Blessings! On Amazon I discovered a perfect tool for cooking eggs in pressure cooker. It's EggAssist. 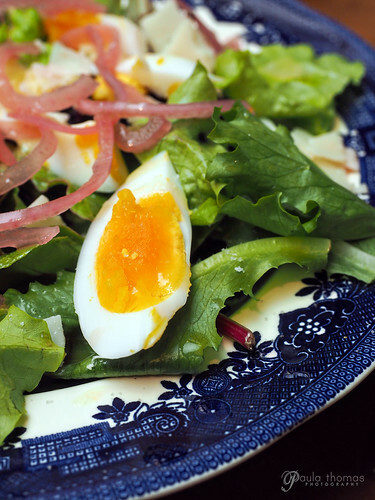 With this you don't have worry about the eggs rolling around inside the pressure cooker. The egg holder can also be used as a hot pad. I absolutely felt in loved with this purchase.